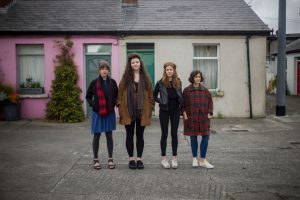 Built on sweeping yet carefully-refined harmonies and the most delicate of recording approaches, Bleaching Bones – the debut album from Dublin and Belfast four-piece Landless – is a million miles from the modern-day zeitgeist. Regardless, the rootsy harmonies shine, made special by a sense of place and unique, textured feel. The concept of an album without instruments is, transparently, not a new one, but it is a sparse rarity in the context of modern-day music. Landless – a harmony-led, all-female vocal quartet – do very little by the book, having beautifully passed from a trad niche to the stage. Those recordings were made by John Murphy (Gorilla Sounds), who was also involved in the production of Lankum’s widely acclaimed, trad-inspired 2017 album ‘Between The Earth and the Sky’. Before the recent drive, Landless were a casual endeavour for much of their life, and have developed naturally, through things like being invited to perform in churches in France, or on a boat in the middle of the sea at Passage West. With hard-won purity, heritage and utterly outstanding voices, Landless are unlikely to storm the charts. Their charming and tender approach to melody is certain to win over a few souls. 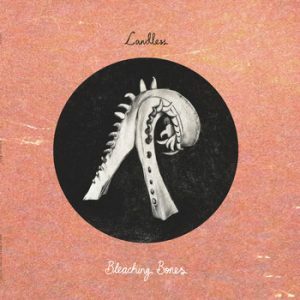 Bleaching Bones, Landless’ sparse and reimagining of trad staples, is out now.